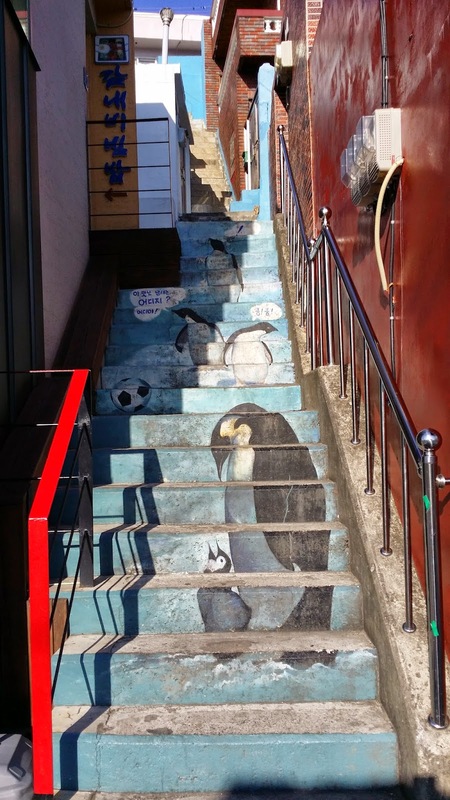 Busan Vacance ~ Journal of a dreamer. 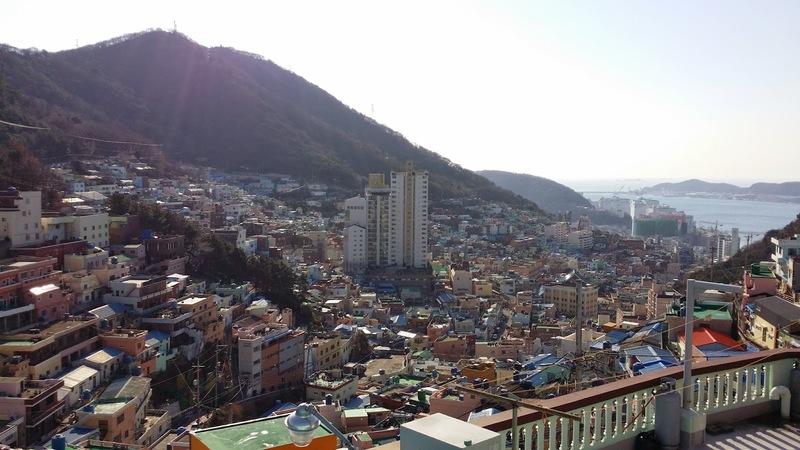 Busan is indeed a city different from Seoul. 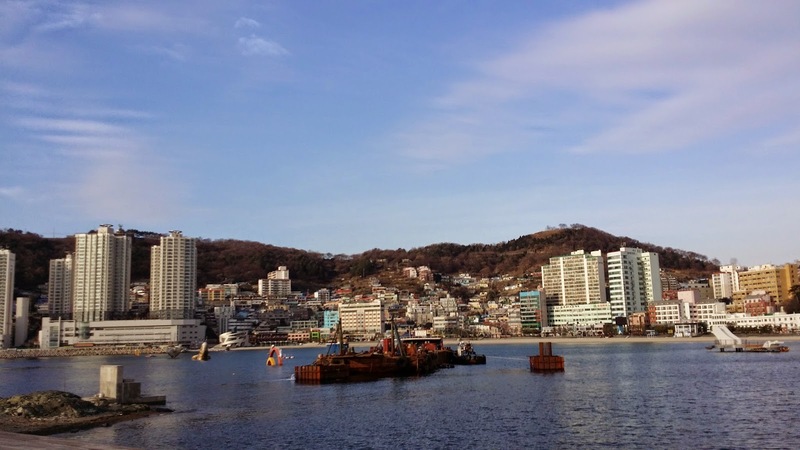 In fact, while Busan is still within Korea, it feels like a foreign country because while I am used to seeing skyscrapers in Seoul, buildings in Busan are generally not as tall and Busan has a more laid-back vibe to it as compared to Seoul. 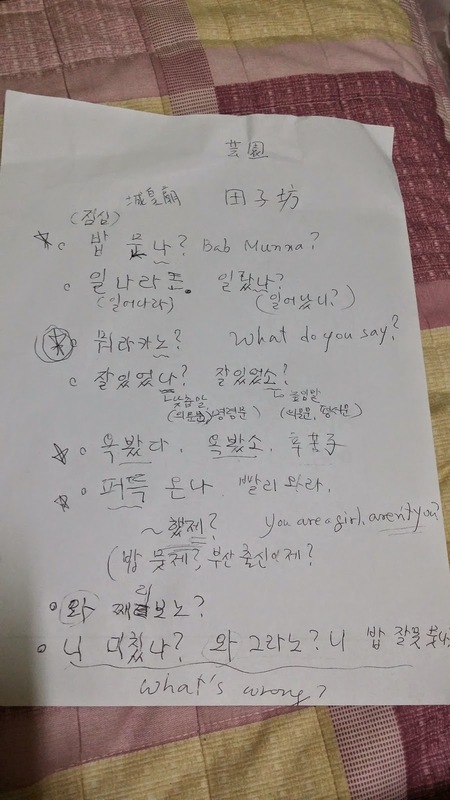 To add on, Busan people speak the Busan dialect, which I found it hard to understand at first because Seoul's variation of Korean is pretty monotonous, but the Busan dialect has some intonations to it and some of the expressions used are different as well. WK and I booked the 8.30 am seats for the KTX train, so I woke up at 6.45 am in order to pack and get ready. I always leave packing to the last minute and as a result, I forgot all about my spectacles. 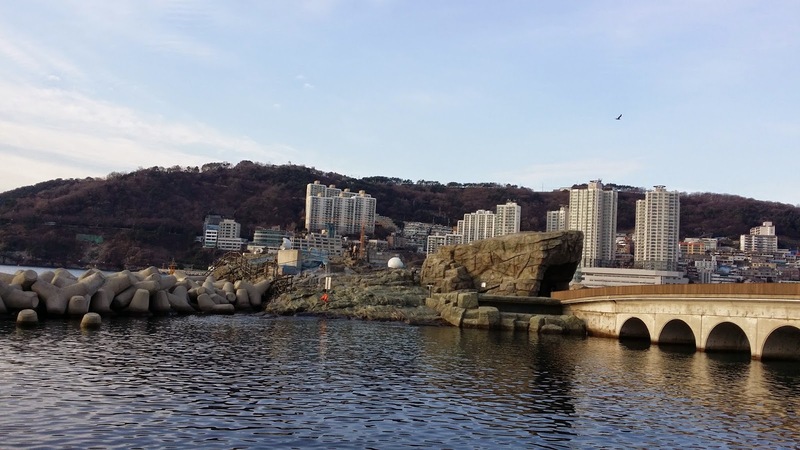 In fact, I only realised it when we reached Busan LOL. I really need to get my LASIK procedures done ASAP. I met up with WK and we soon boarded the train. It was my first time on the KTX and it was travelling at speeds of up till 311km/hr. We did pass by the countryside and wow, those places were totally inundated with so much snow. 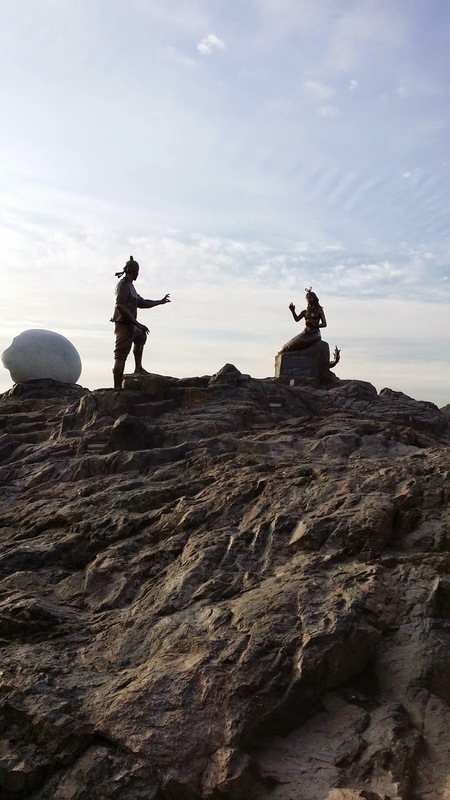 As we neared Ulsan, the snow gradually disappeared and we were greeted with warm sunshine. 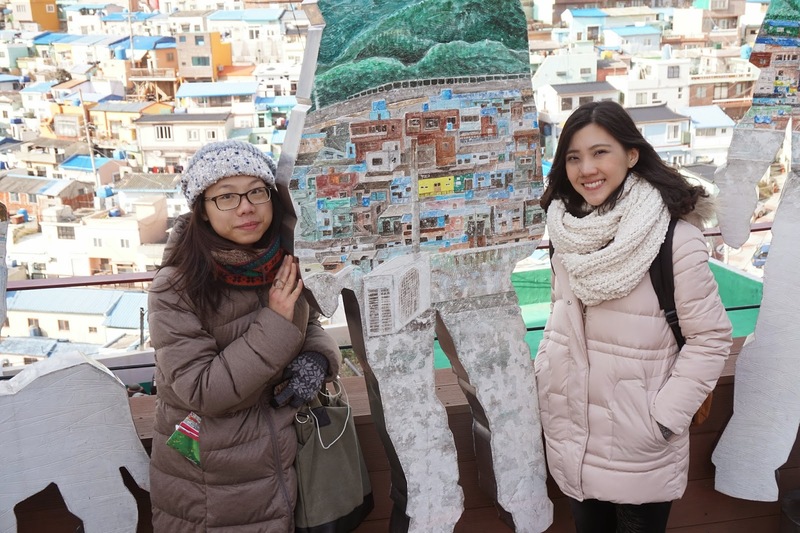 The temperature difference between Busan and Seoul was quite big. 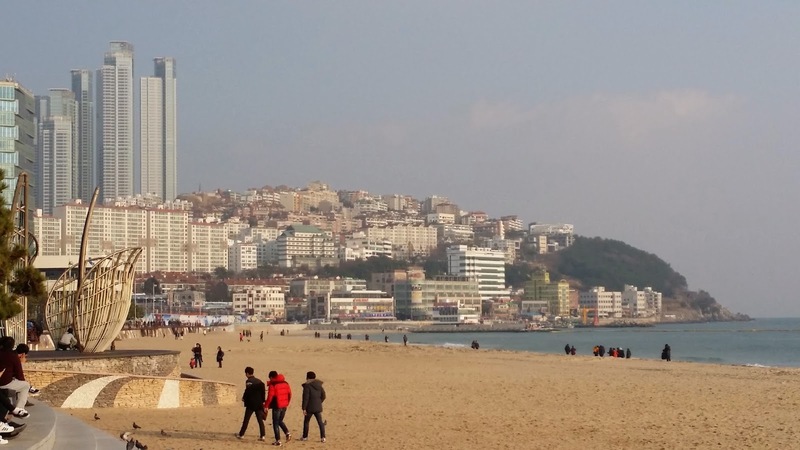 I think it was nearly 10ºC in difference, because when we left Seoul, it was still -3ºC but it was already 7ºC in Busan. 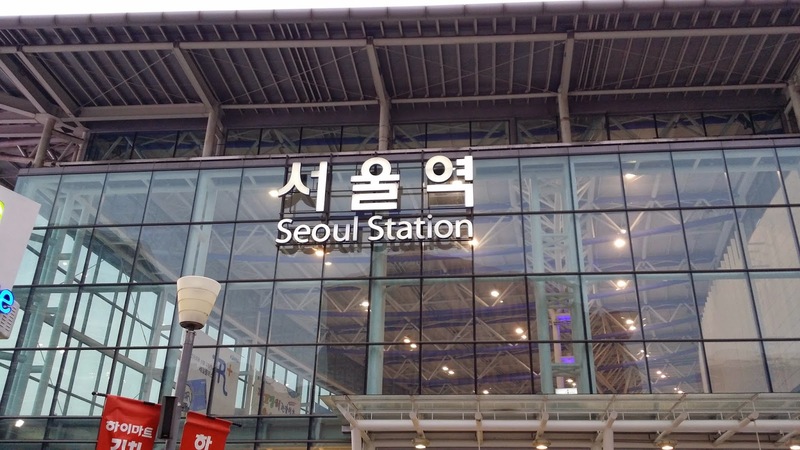 Setting off from Seoul station. 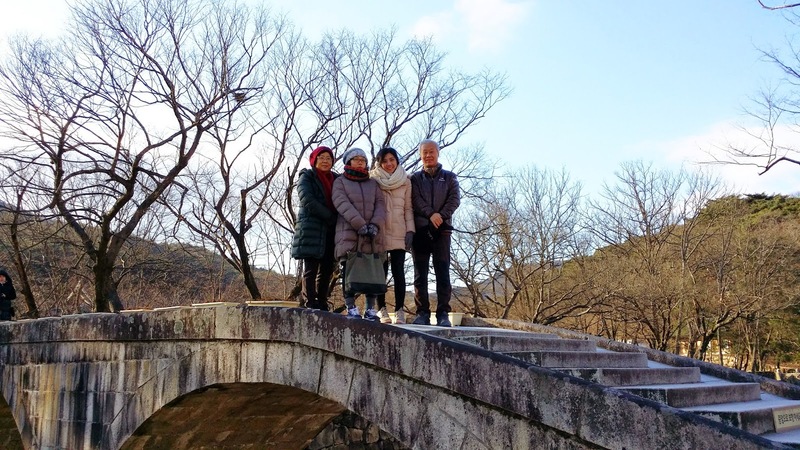 After meeting them, they drove us to Tongdosa where we had a vegetarian lunch. 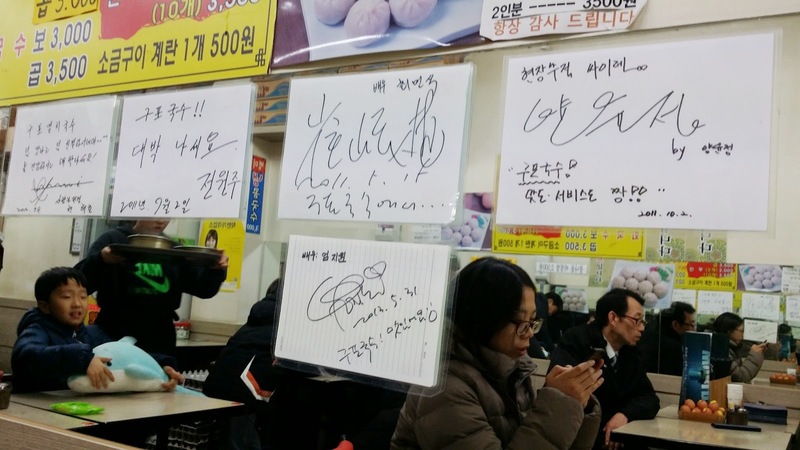 Ahjussi is a vegetarian, and Tongdosa apparently serves free meals. This was my first time eating vegetarian bibimbap and I did actually really like it. Not forgetting those Korean beansprouts. ^^ We talked over lunch and I did really learn a lot from them. Ancient Korean used to have 15 tones (Crazy right? And I thought Cantonese was tough enough due to it having 9 tones...) but the tones gradually died out from the 17th century onwards. 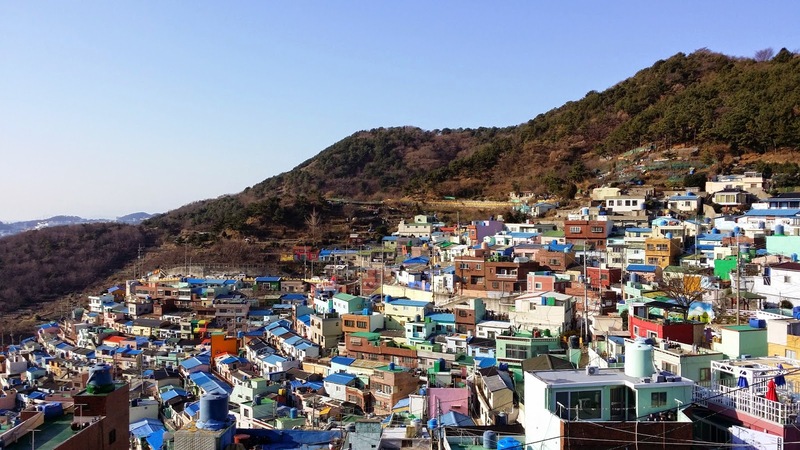 The Gyeongsang dialect (the dialect which Busan and the surrounding areas use) still retains some of the tones from hundreds of years back, which is why they sound more tonal than the Korean spoken in Seoul. Another unique thing which I observed in temples is that you are expected to wash your own dishes and utensils outside once you are done. Thank you Teacher for washing them for us. The water must have been really cold. ;X After lunch, Teacher and Ahjussi brought us to tour the temple grounds. I walked over this bridge. Haha, I really had to be careful about not falling down though. Tongdosa is the largest temple in Korea. 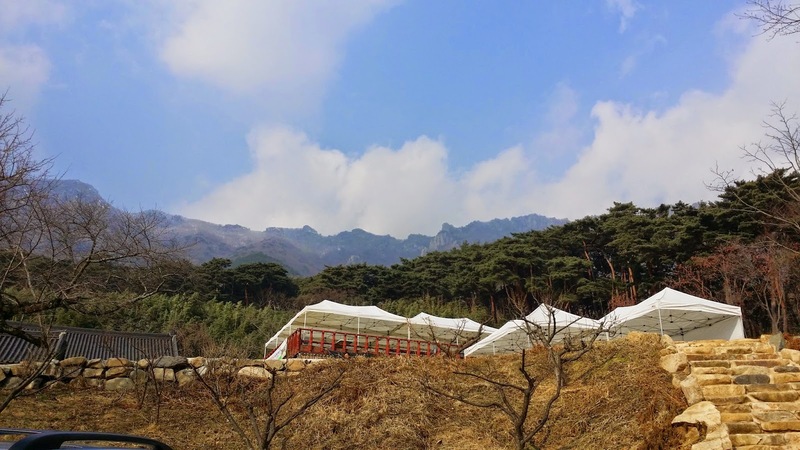 The temple grounds here are really as huge as, say Mt Seorak National Park? It's just that vast and expense. Not to mention, the scenery was really damn beautiful. They drove us back to their house and we began unpacking our things. Teacher drove us to Busan after that where she dropped us off at Shinsegae Centum Mall, which is the largest departmental store in the world. 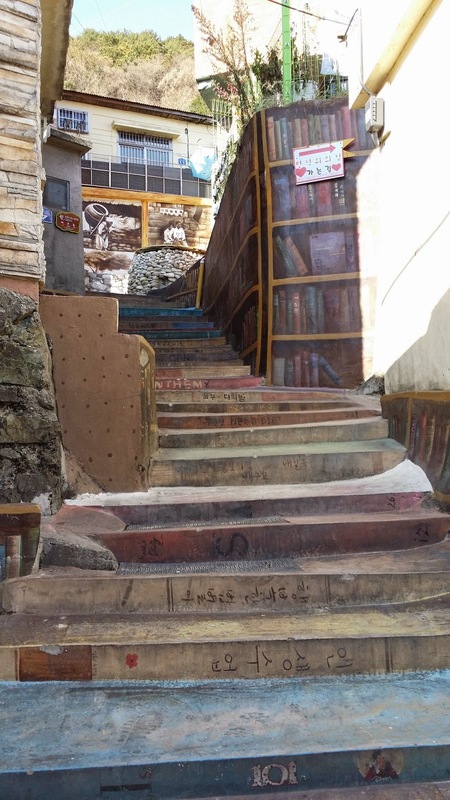 We didn't have the time to tour this place properly for the rest of our stay in Busan, but this will definitely be a place I'd check out when I get to return to Busan. 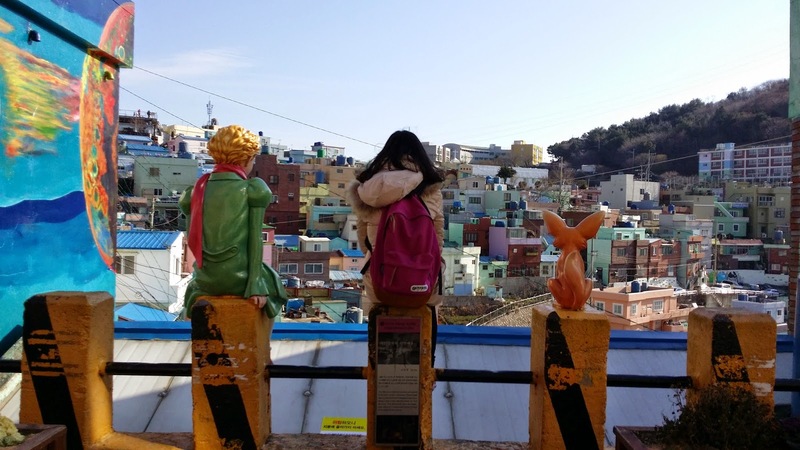 We took the Busan subway train (thankfully, Seoul's T-Money can be used for public transport in Busan) from Centum City to Haeundae. 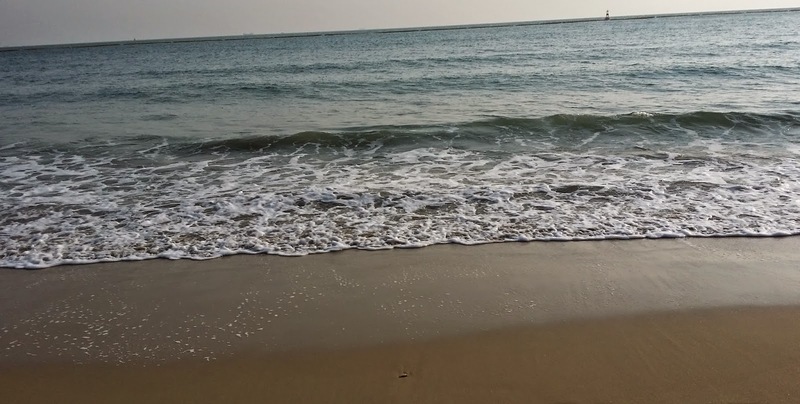 The vibe that Haeundae gave me really felt like the vibe I felt back then when I was in Bondi beach. Perhaps all beaches give off this kind of vibe? However, the sand wasn't as white nor were the waters as blue as Bondi's. ;P But still, it was really therapeutic to hear the sounds of the waves and to enjoy in the sights of seeing people play around. The weather was really cold though. Thank goodness I had my gloves on. Taken at around 3 pm? There were so many people here though, due to it being a Saturday. The waters never fail to calm me. 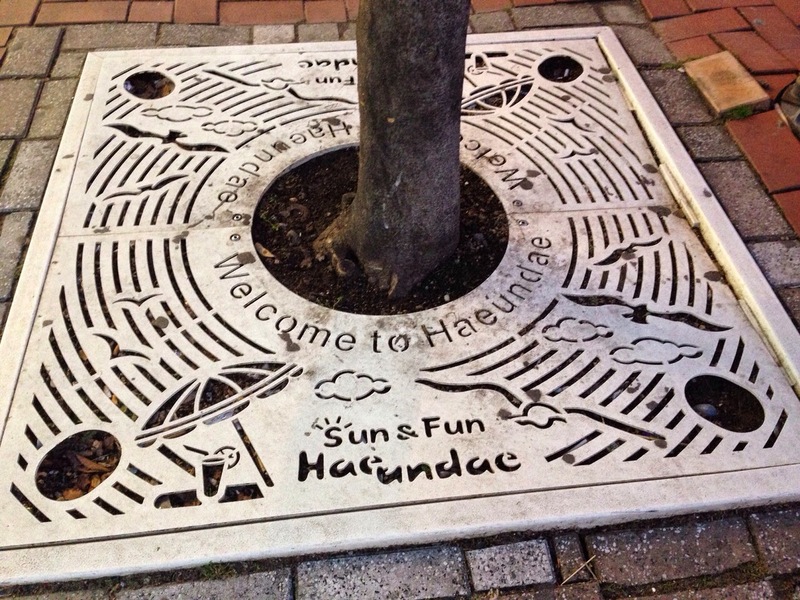 At the entrance of Haeundae Market. 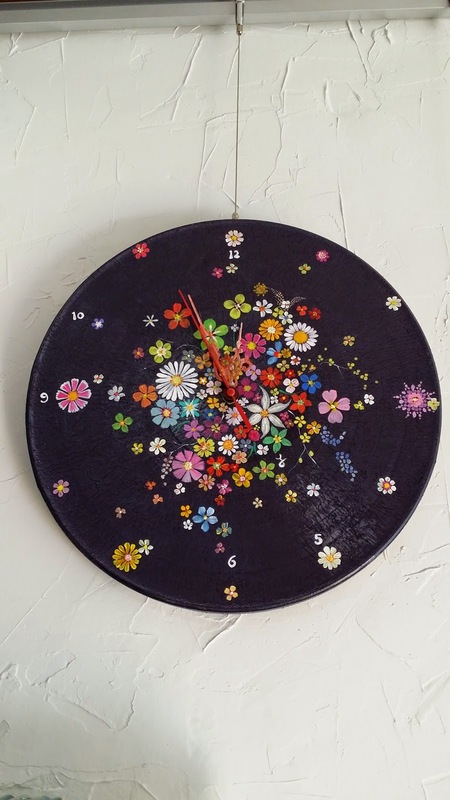 구포 is well-known among the celebs. We continued walking around the market until I came across this mama mart which sold CRAZILY CHEAP Market O brownies. Guess how much it was? 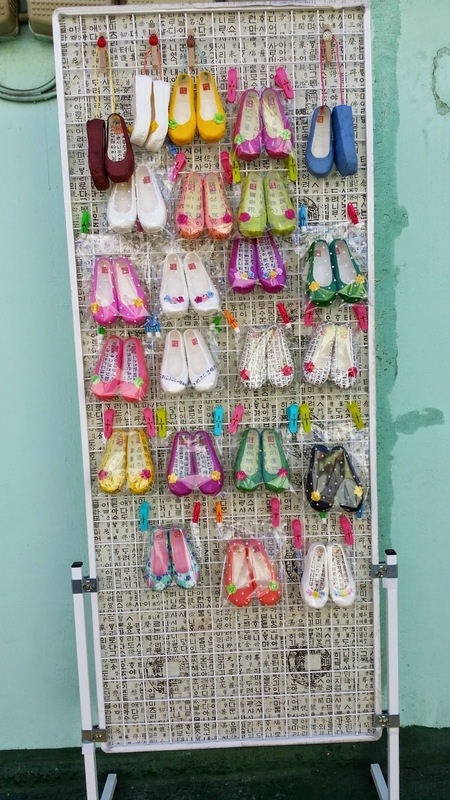 Just 1000 won! Kill me already! I couldn't resist myself so I bought 4 of such boxes in a go! ;D SG sells these brownies at such a high price I can never find the justification to buy it there. 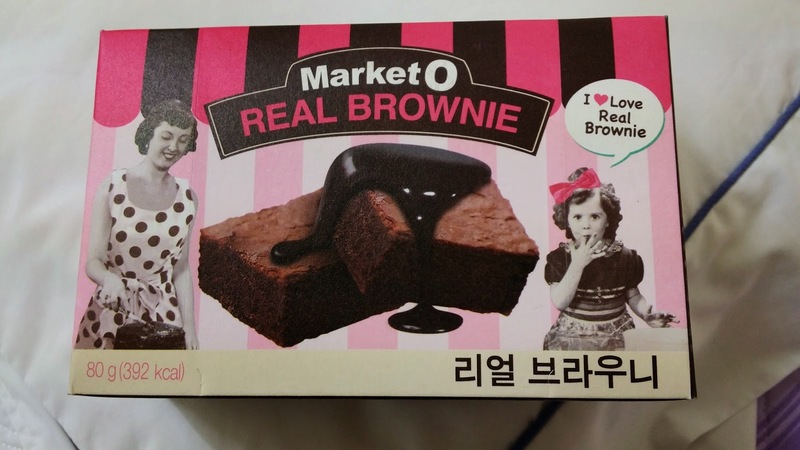 I bought 4 boxes, which means 16 brownies for only 4000 won! So much cheaper than the cheapest store in Seoul. The cheapest I found in Seoul retails at 7 piececs for 3500 won!!! ;O So you know why I bought so many right? These brownies are crazily good I swear! At around 6 pm, we became hungry again so we decided to have eels for dinner at a restaurant (forgot the name) which had the longest queue and had many celebrity signatures HAHA. 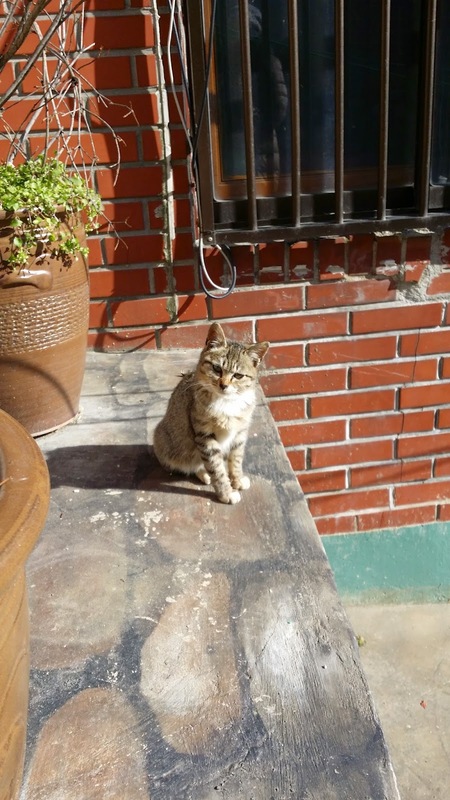 We ordered the small portion for 24 000 won, which was enough for us. 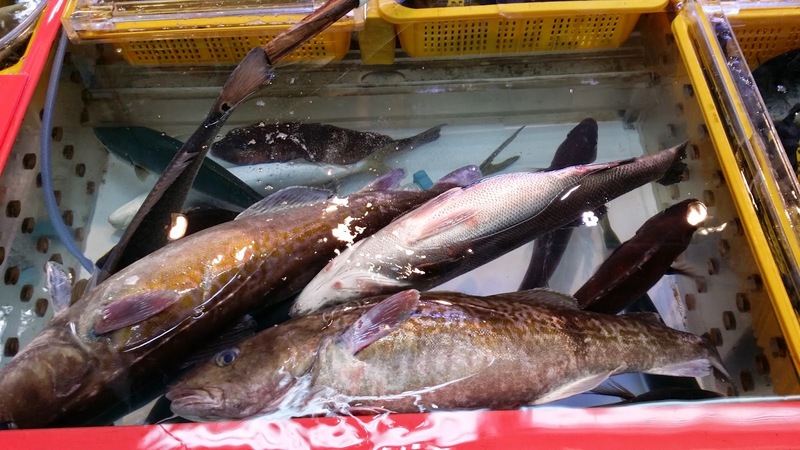 Oh, and I got to see how the eels were being fished out of the tanks and skinned alive by the ahjumma outside the store. I felt a bit sad for the eels but they did taste really good. ._. 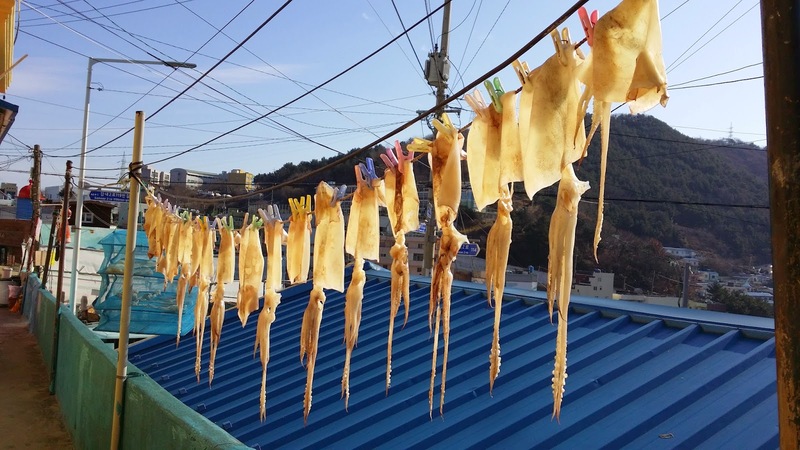 The eels before they were cooked. The eels were still squirming right in front of us. ._. The final look of the dish. The eels were really damn good I must say. I will pay to eat this again. I think barbecued eels would taste just as good but unfortunately, the restaurant we went to didn't offer this option. However, other restaurants do. We were feeling really hungry, so I bought a potato beef burrito from Dunkin' Donut for 3500 won. That thing was really delicious. ^^ We met Young-mi at Busan station at 8.25 am. The KTX ride from Ulsan to Busan took about 20 minutes. 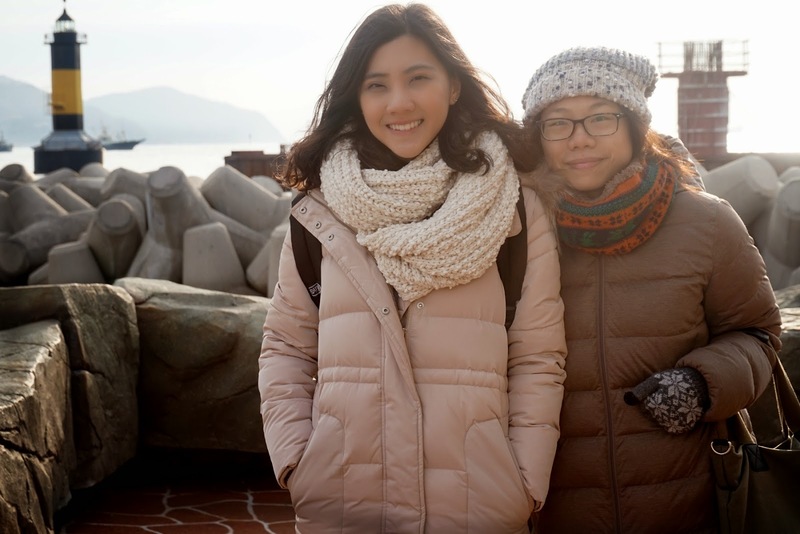 Young-mi drove us to Songdo beach, another famous beach in Busan, albeit not as famous as Haeundae LOL. 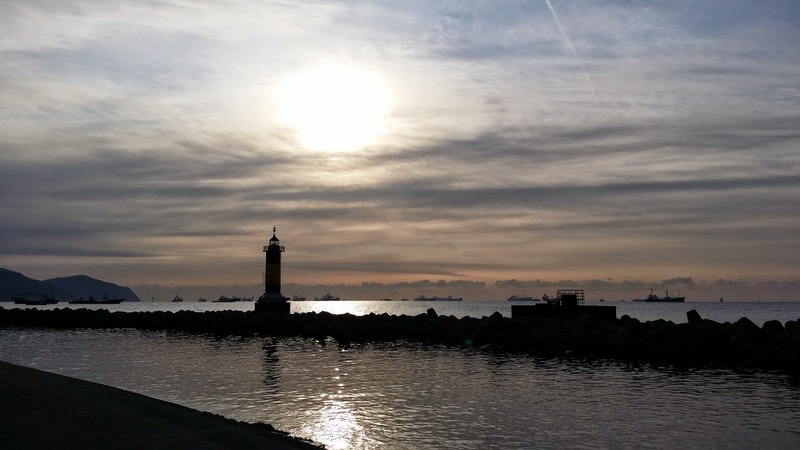 The views at Songdo beach. 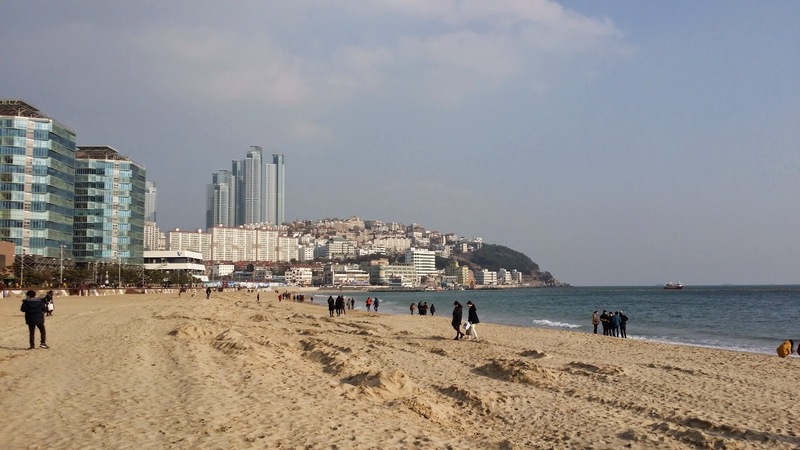 Songdo beach isn't as big as Haeundae though, so there weren't many people. Or perhaps people don't go to beaches in the morning? Some Korean folklore about a mermaid and a commoner. Final picture taken at Songdo beach. Young-mi then drove us to Gamcheon Village, but we got lost LOL and ended up in some container port. ._. 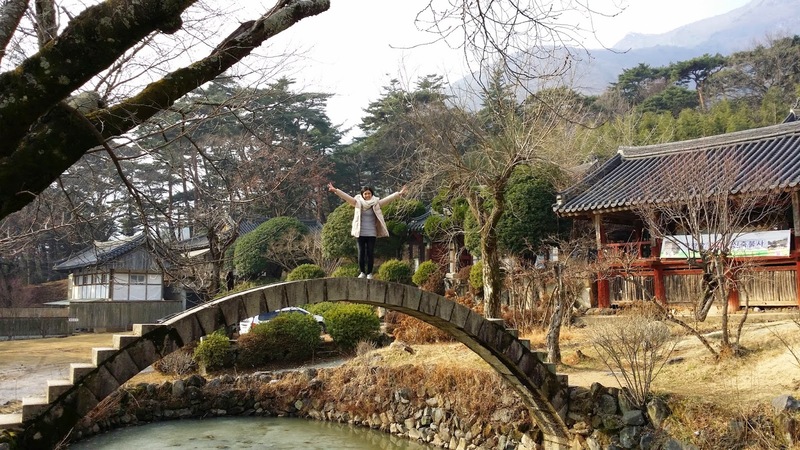 Anyway, despite being a Busan native, it was also Young-mi's first time to Gamcheon Village. 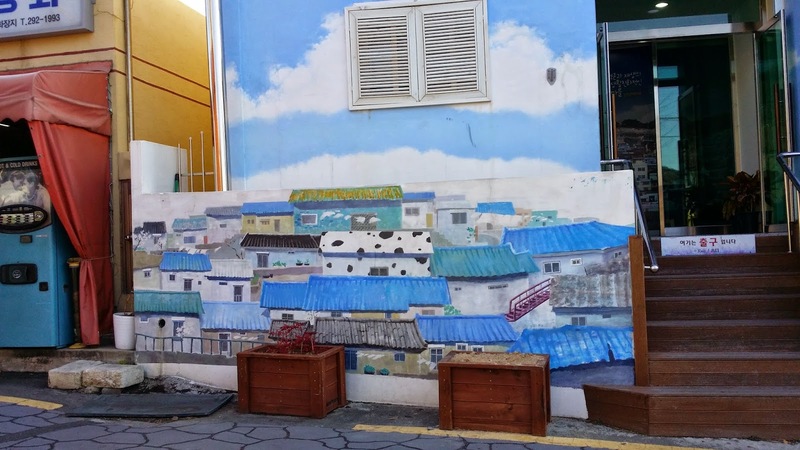 Gamcheon Village actually has a sad history behind it, so the Busan natives don't usually think of that as a to-go place in Busan, which I will explain more towards the end of the post. 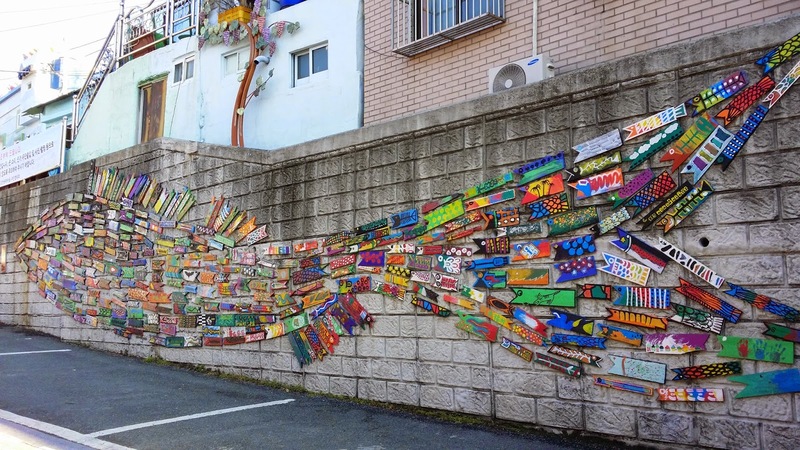 Only Koreans from other regions (like Seoul) and tourists would go there. ._. 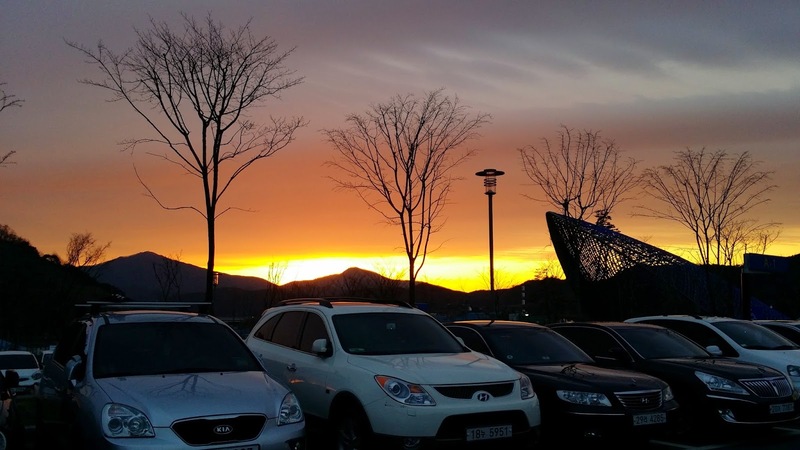 Driving up the slope to Gamcheon Village was really scary though. We were literally leaning back against our seats as Young-mi went up the slope. Thankfully we had somebody to drive us around, if not we would need to walk up those slopes. I don't mind walking up such slopes, but maybe not during summer HAHA. 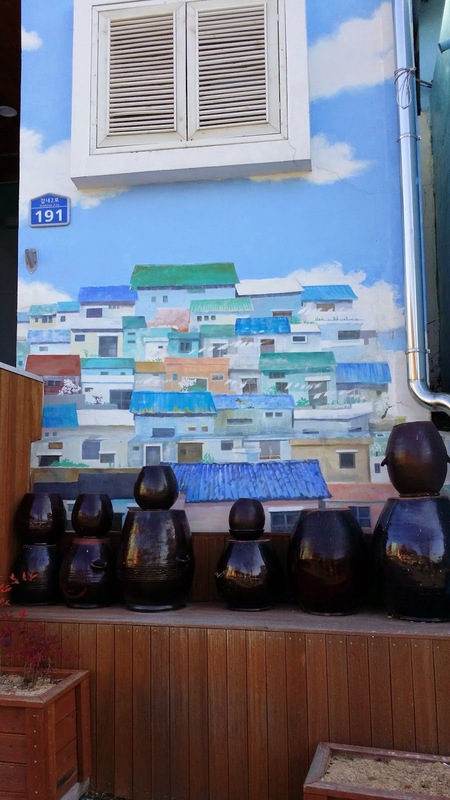 Gamcheon has many of such wall paintings. 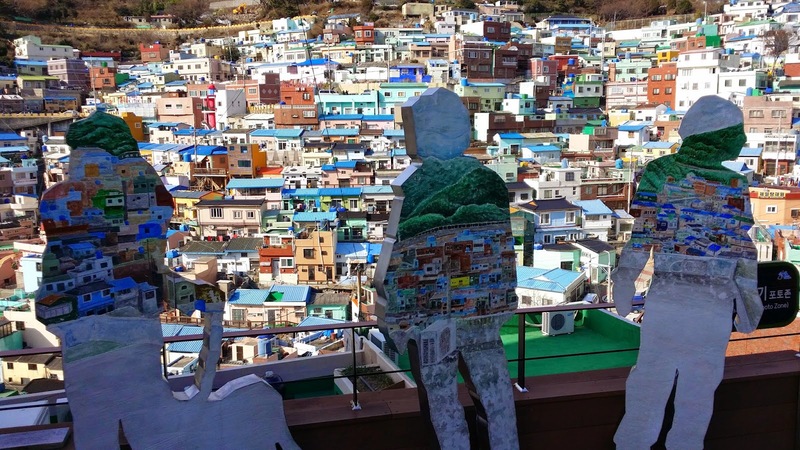 They are actually painted on by volunteers who painted them in order to spread the message of peace and hope to the villagers in Gamcheon, which is why Gamcheon Village has such an artsy-fartsy vibe to it. 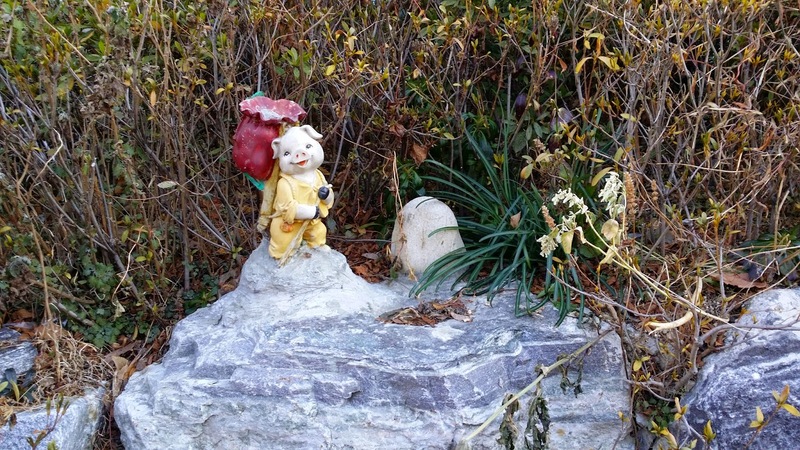 A figurine at a house. 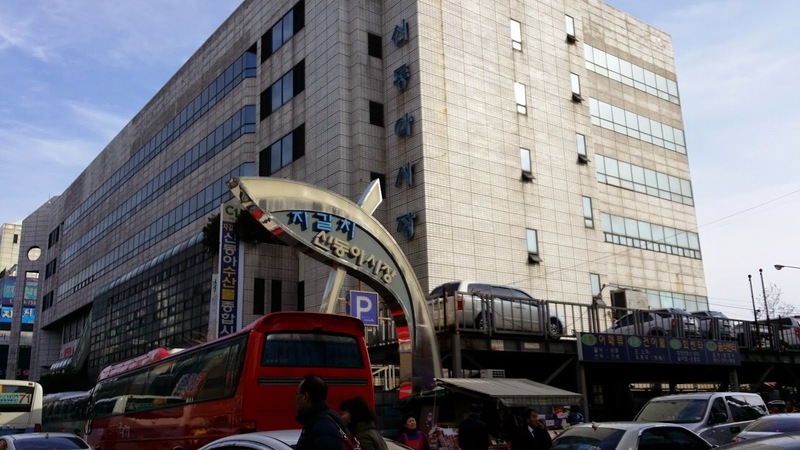 One of the first stops on the map, which Young-mi bought for 2000 won from the information counter. 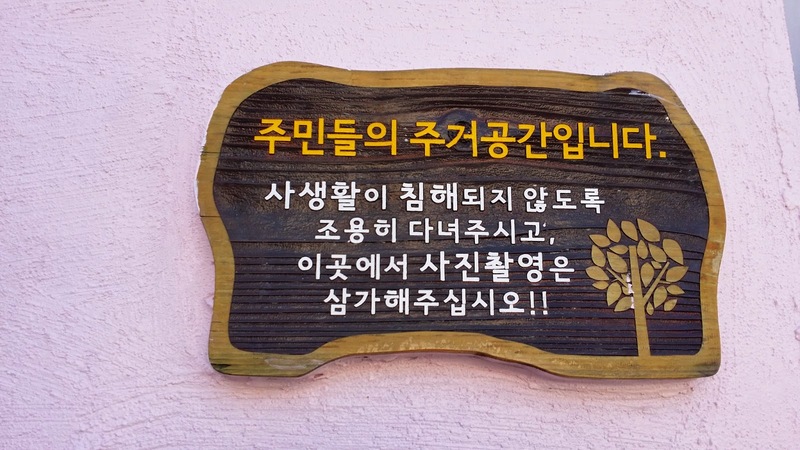 A sign reminding people that there are residents residing in this area and to be mindful as to not make so much noise. Another stop on the map. 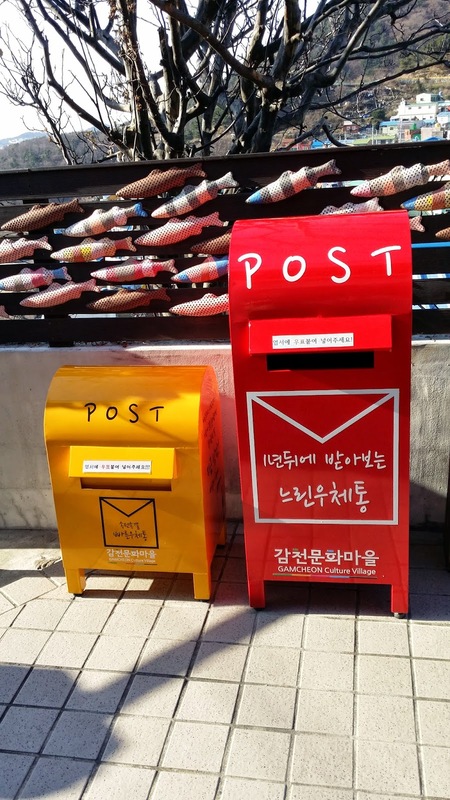 A place where you can post cards. Taken from the place where we could post cards. 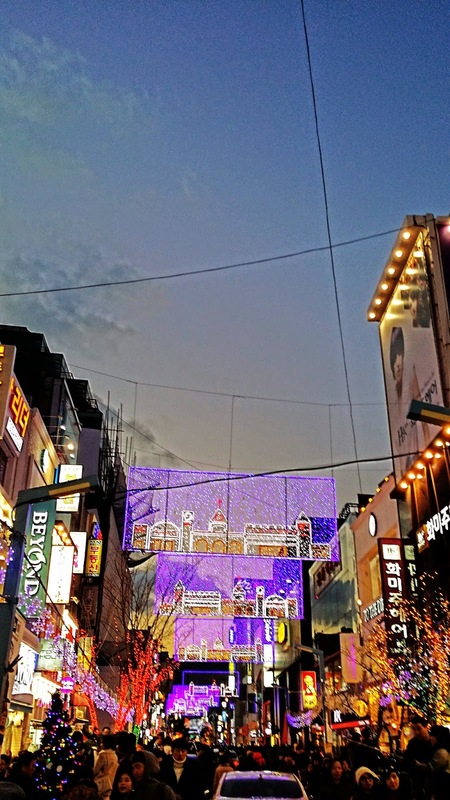 A panorama shot of Gamcheon. 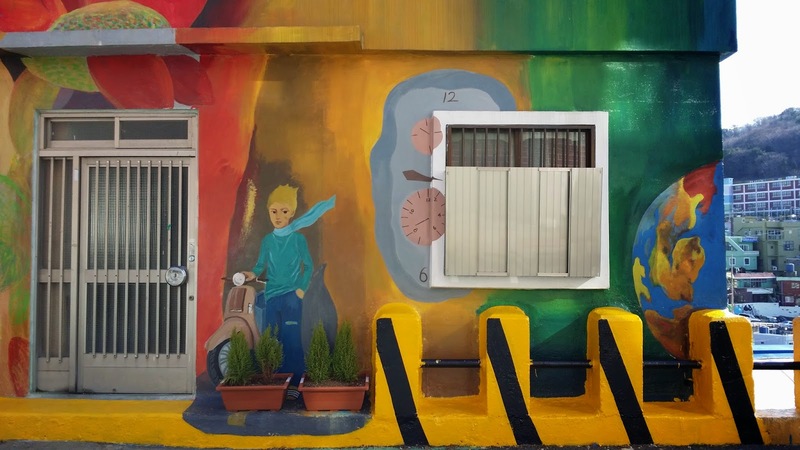 The famous Little Prince spot. 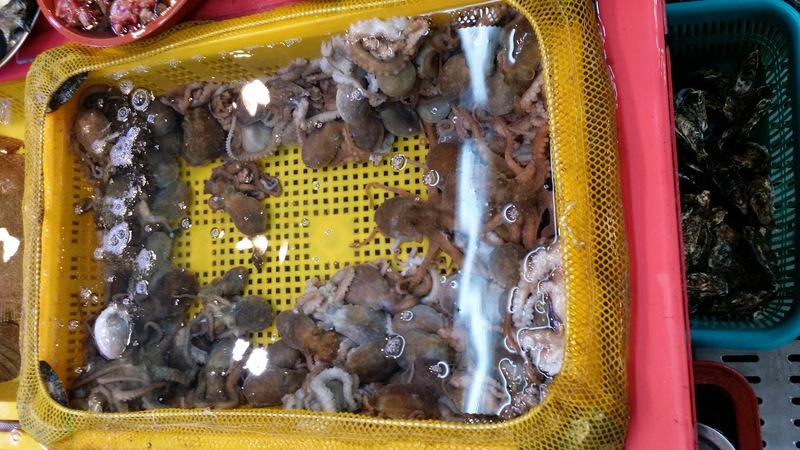 Squids drying in process. I wonder how long it needs to be put out in the sun though. 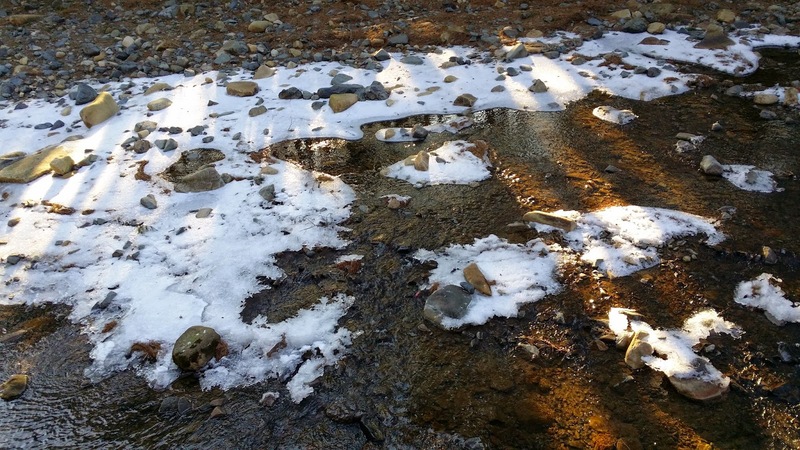 Look at how crowded Jagalchi was! Just look at all the tour buses. ._. 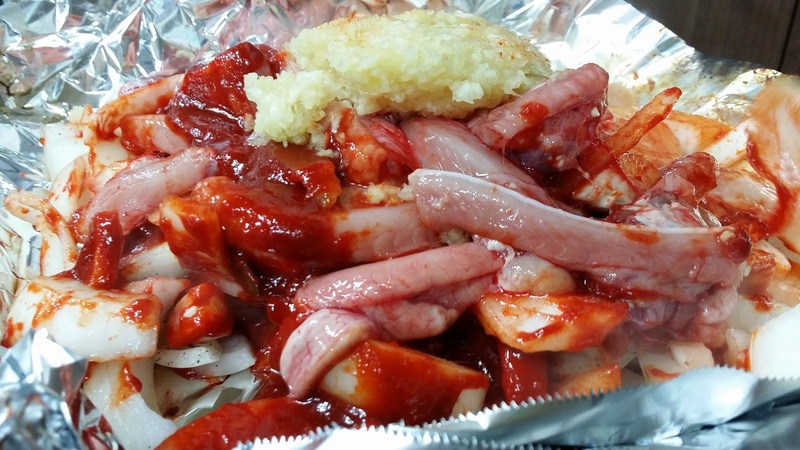 REALLY GOTTA LOVE 'EM SANNAKJI (live octopus)!! They taste so damn good with sesame oil and salt. DAMN GOOD SASHIMI. On par with the ones I had back in Sydney Fish Market!! 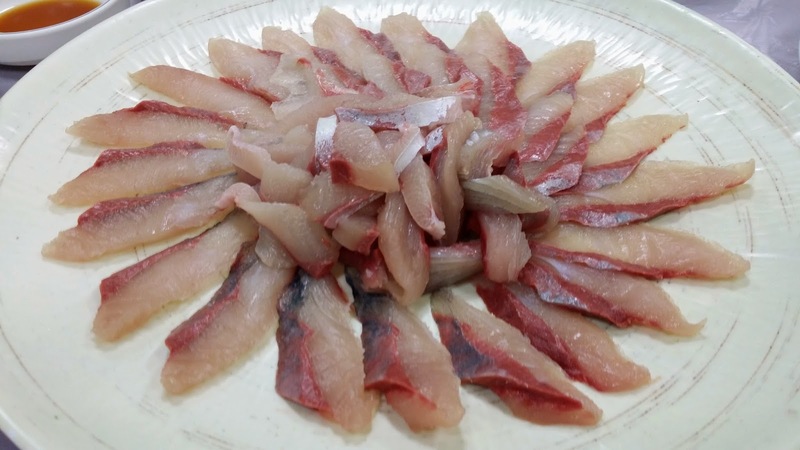 ;P I asked Young-mi what kind of fish this was and she said it was 방어 (yellowtail in English). Young-mi then drove us to the Lotte Department Store at Gwangbok-dong where she parked her car. 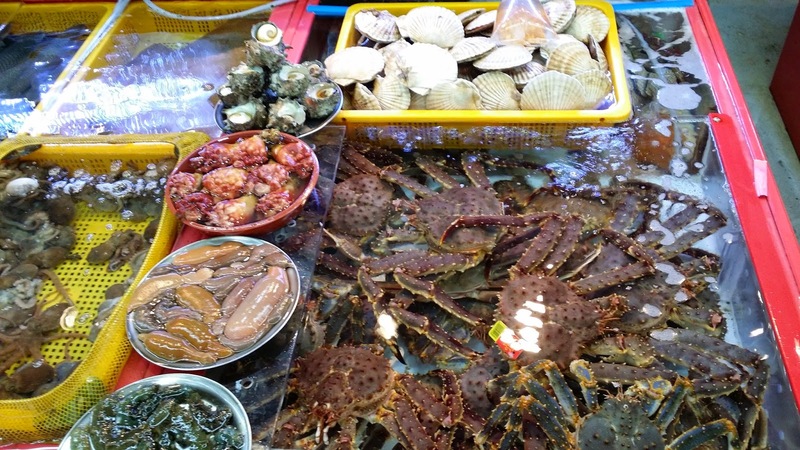 We then walked to Gukje Market where she treated us to pancakes with sweet red bean fillings in them. Wow damn nice I swear! I really loved eating them so much! They aren't the most photogenic dish but I swear that they were really good! 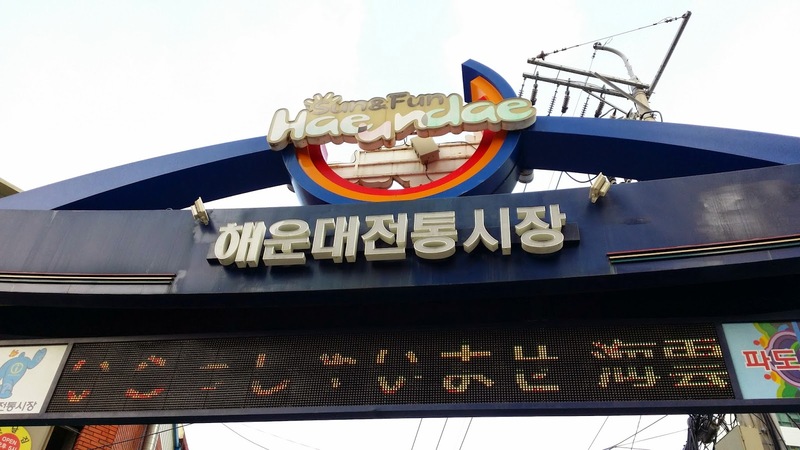 We then walked over to Nampo-dong so tha we could take the escalator up to Yongdusan Park. The escalators we took up to Yongdusan reminded me of the Mid-Level escalators back in HK haha. 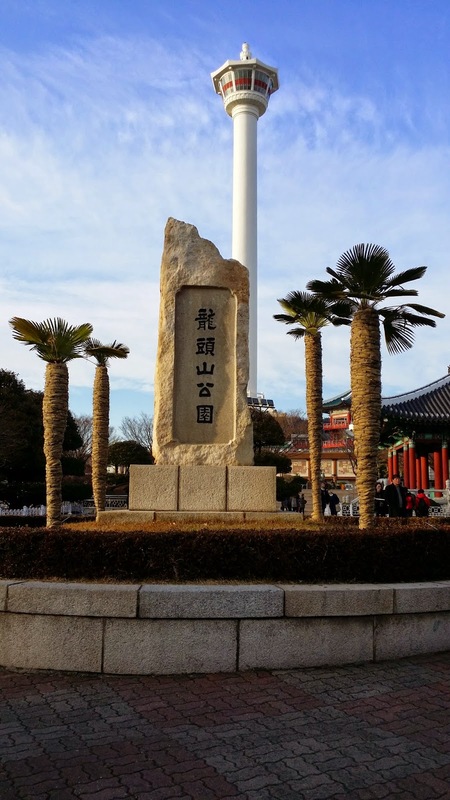 Yongdusan Park is where the Busan Tower is located, but we didn't go up the tower in the end. We just sat around and talked for a while before going back down haha. At Yongdusan Park. 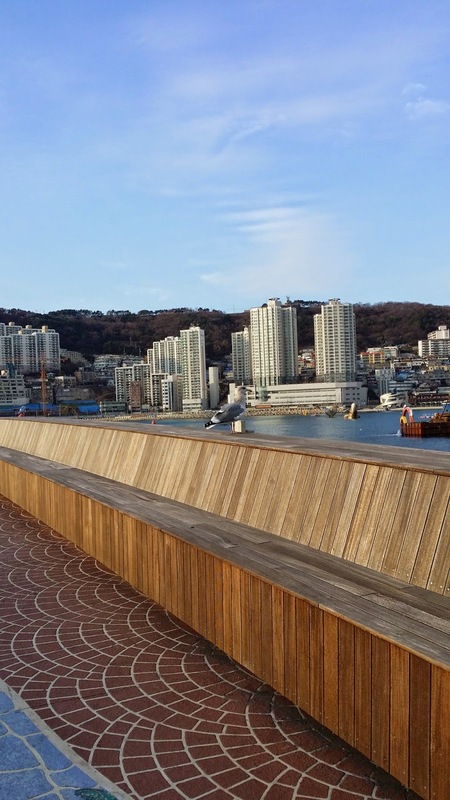 The Busan Tower is in the background. 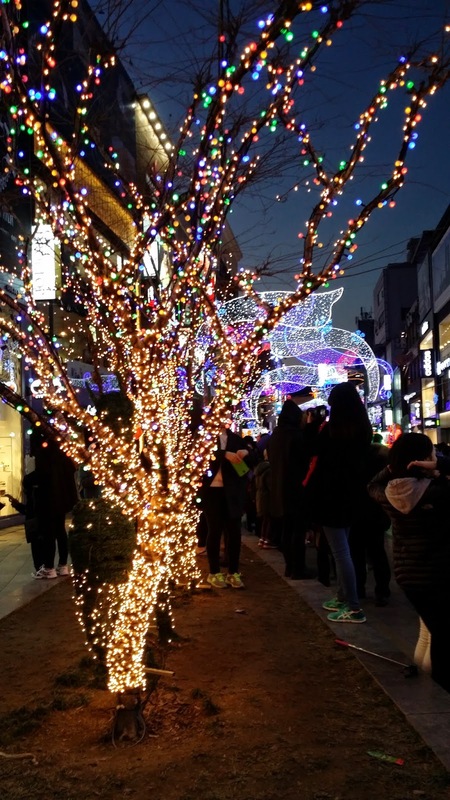 After coming down from Yongdusan Park, we shopped around the Gwangbok area where the annual Busan Christmas Tree Festival would be held. 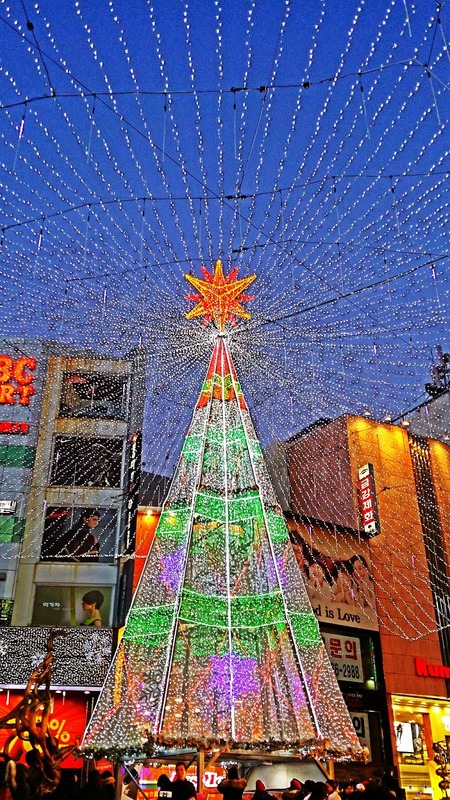 The Christmas lights lit up at around 5 pm as night fell, and it was really a sight to behold! I already thought that Orchard Road's Christmas light-up was really good but this just takes it to another level. This is another reason why Christmas is my most favourite festival of the year, besides celebrating the birth of Christ. The key attraction HAHA! The Christmas tree is really damn gorgeous! Really got to love the lightings! 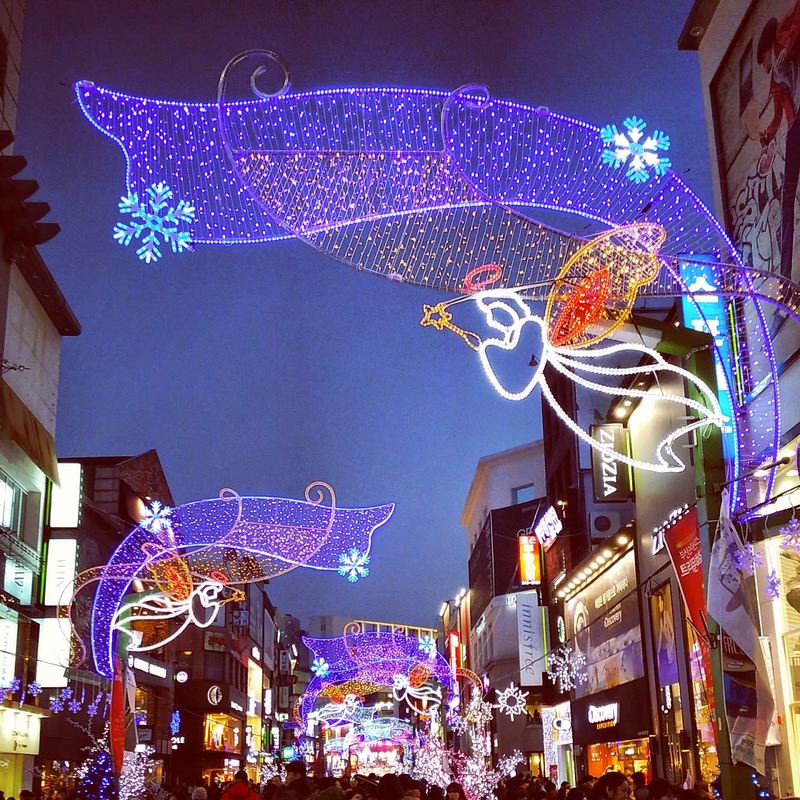 Last night in Busan, and what a beautiful place it had been. We went back to Lotte for dinner. 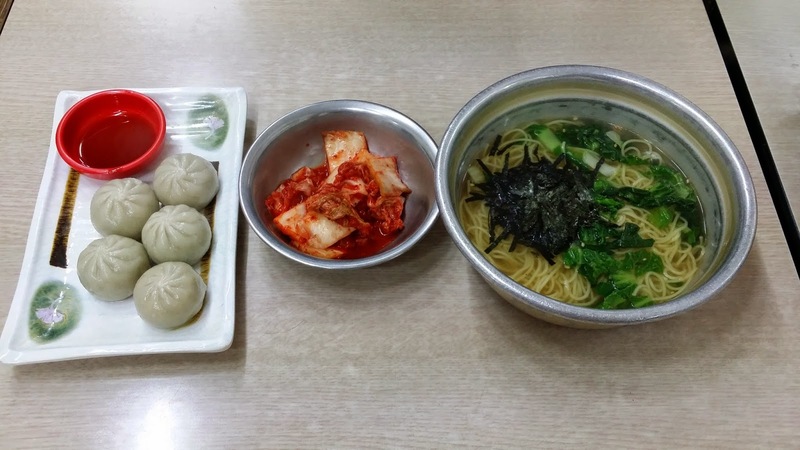 I had the dumpling ddeok soup, which was beyond delicious. In fact, it was the dumplings which I really loved. Oh, the banchans I had were very delicious too! So delicious that I went back for second helpings HAHA. 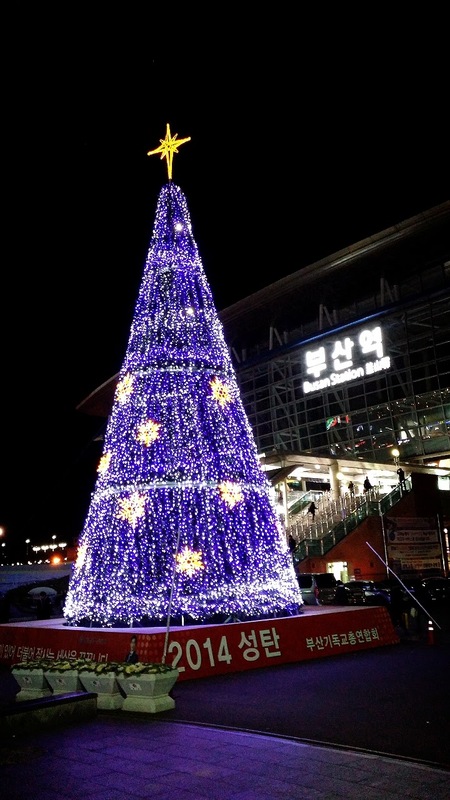 The beautiful Christmas tree outside Busan station. This rainbow is damn pretty! 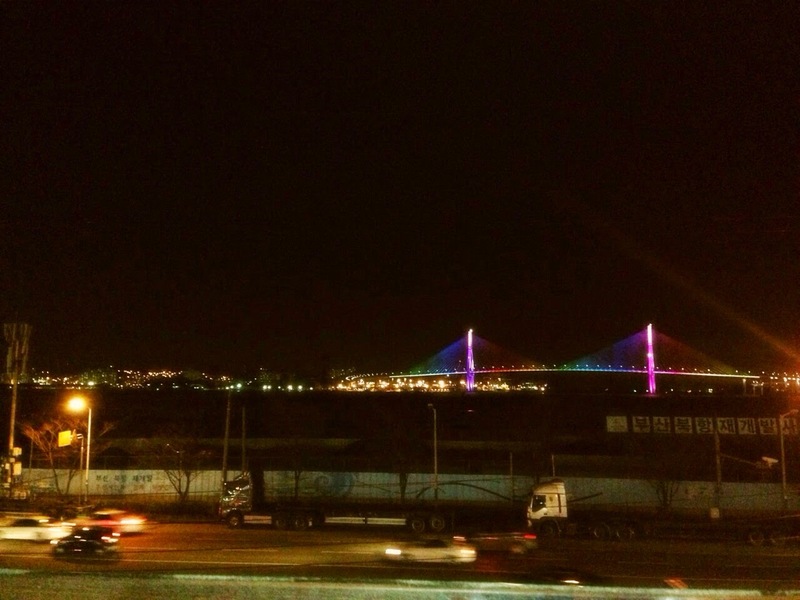 This is the Busan Gwangandaegyo Bridge, which WK took from the Busan station. We booked the 8 pm train back to Ulsan, so while waiting, I went to buy odeng. It is said that Busan has the best odengs that Korea has to offer, so it would be such a regret for me if I didn't eat one here, so I bought a stick. A stick here costs 900 won instead of the 500 won sticks that are usually sold along the street food stalls of Seoul, but it tasted really good! When we reached Ulsan, it turned out that bus 13 had already stopped its service, so we ended up having to call Ahjussi to pick us up. So sorry for the trouble! ;X When we reached home, we washed up and went upstairs to have tea with Teacher and Ahjussi. We had a 3-hour tea session with them until it was about 1 am. The tea session was especially enlightening because I got to know my hosts better and I did learn a lot from them. We woke up slightly later today, at 7.30 am HAHA. Teacher and Ahjussi brought us to eat breakfast at an eatery near their house. We had vegetarian kimbaps, and they tasted really good! Teacher also ordered the dumpling ddeok soup for us and I nearly cried. WAI SO DELICIOUS?! 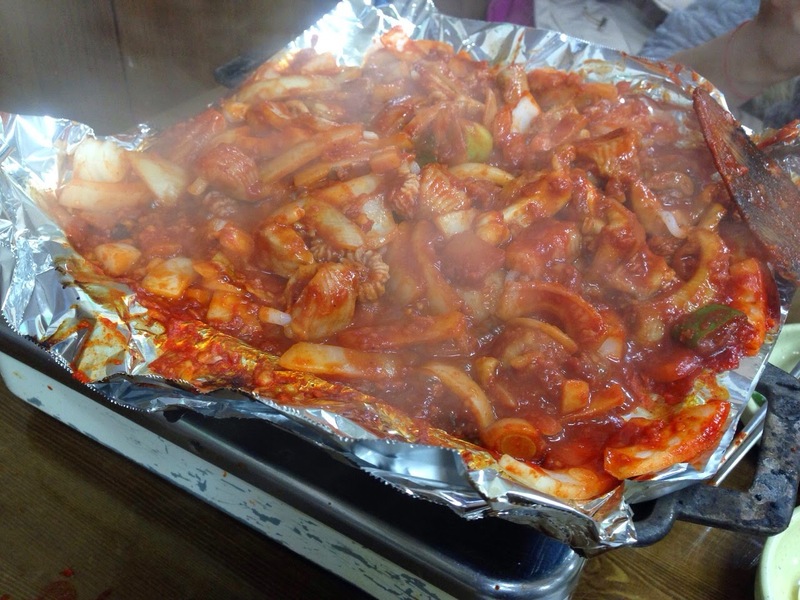 ;_; We ended up being really stuffed so it was a good thing that they brought us to Tongdosa for a walk. 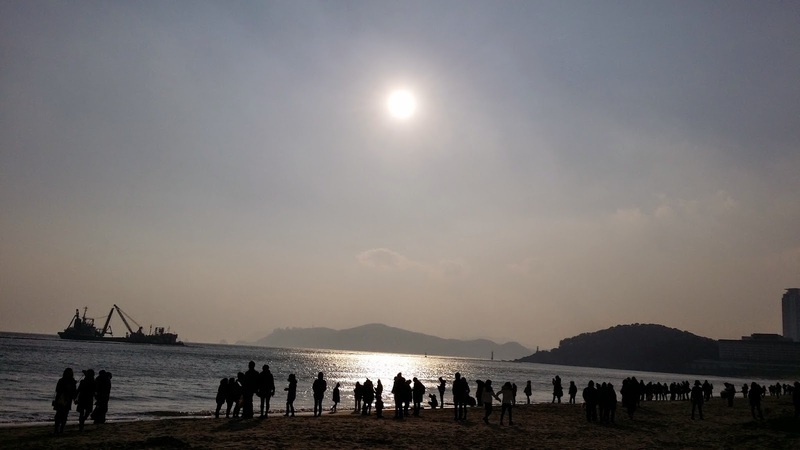 Today was Winter Solstice, so there were many people in Tongdosa. However, the air was really fresh and although it was quite cold, I still enjoyed the walk very much. Ice ice baby! It's not snow though. Ahjussi said that it rarely snows in Busan haha. He said it snows a lot in the western parts of Korea though, especially where Jeonju is. Full die me (not really fat in this case 'cos the food we ate were really very healthy). This is red bean porridge. I had expected it to be sweet, but it was a bit salty to me (it tasted like porridge WITH red bean) so I wasn't sure if I liked it. However, I got used to the taste after a few mouthfuls and I must say that it tasted quite nice. 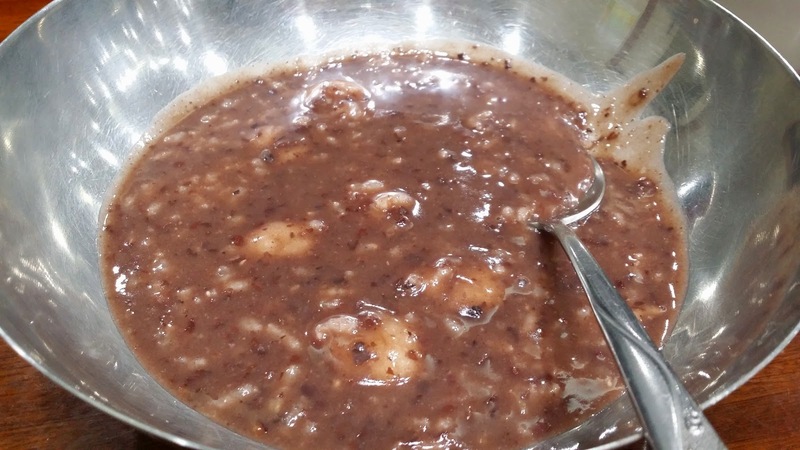 Teacher said that this was the real traditional red bean porridge, not the sweet ones that are usually sold in dessert shops. Ah, so now I get it LOL. Teacher then drove us to Jangjeon station where we parted ways. 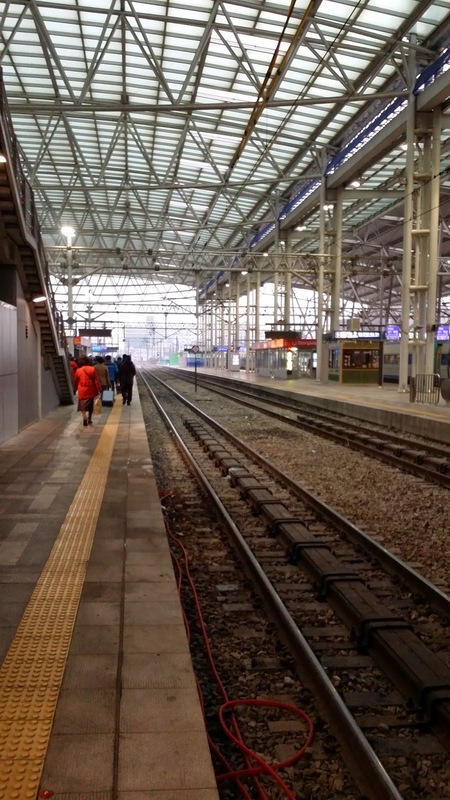 We bade our farewells and took the train which would bring us to Busan station. 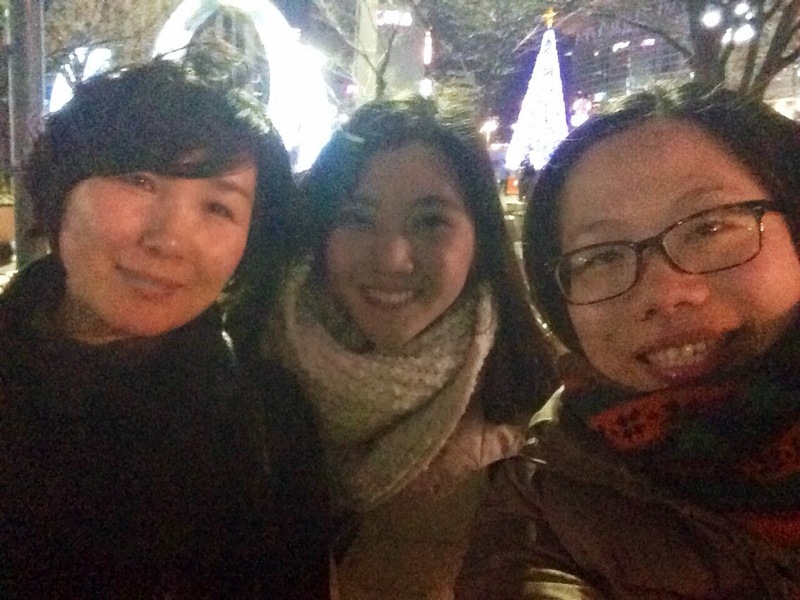 16 stops later, we alighted at Busan station and went over to Chinatown. 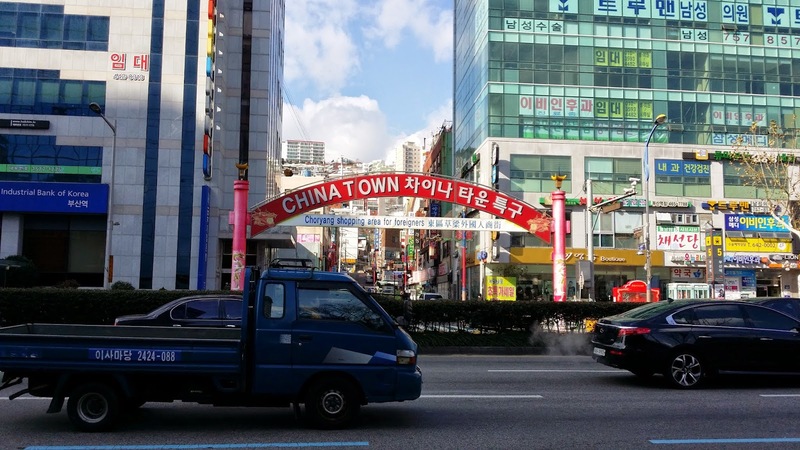 In Korea, there are only 2 Chinatowns; one in Incheon, the other one in Busan. 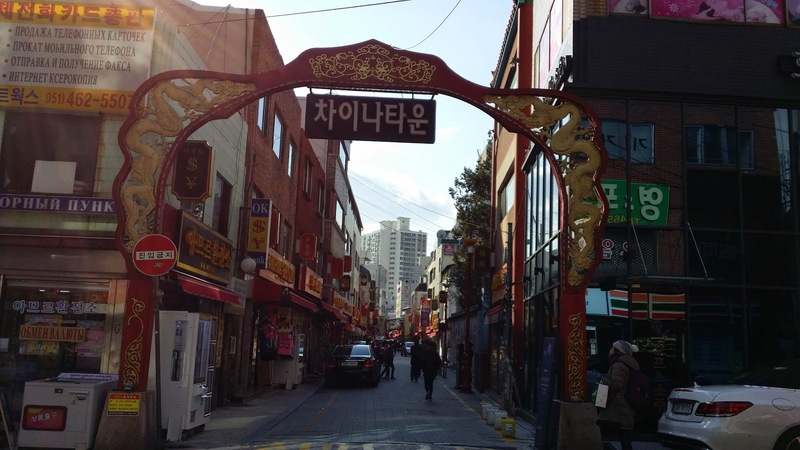 Chinatown in Busan. It's mostly restaurants though haha. And many Russian words too??? ._. With that, we made our way back to Seoul. I slept nearly throughout the train journey, which just went to show how tired I was haha.